At the end of each year I try to take some time and reflect back on my photography, my business in general, and just the past year. Overall it’s a fun experience and I get to relive a lot of the journeys and places that I travelled to and the moments that stood out to me. It’s a good thing really. Choosing my best landscape and nature photos of 2018 is a task that I enjoy yet don’t at the same time. I see mistakes I’ve made; I kick myself for moments I’ve missed; I chide myself for all of those times I should have grabbed the gear and headed out to catch that amazing sunset that I was just too lazy to leave the house. Those are just the simple things that don’t involve the business aspects either. But one of the main points is that I want to contribute to an amazing project by Jim Goldstein (now in its 12th year I believe). Head on over there and check out all the past years and other great entries when he publishes all of the entries for 2018. 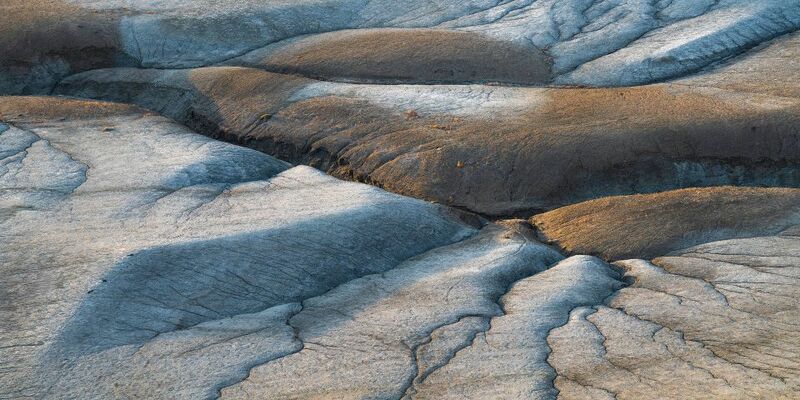 The desert of Southern Utah cracks and breaks through showing how fragile the world is. 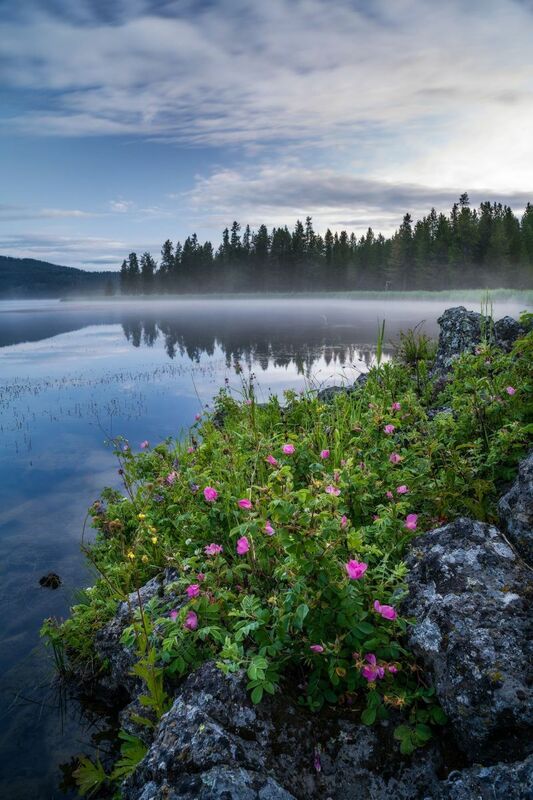 The rocky shoreline of a lake in Northeastern Idaho lights up with wildflowers in the early morning sunlight as the fog lifts off from the water on a warm Summer morning. 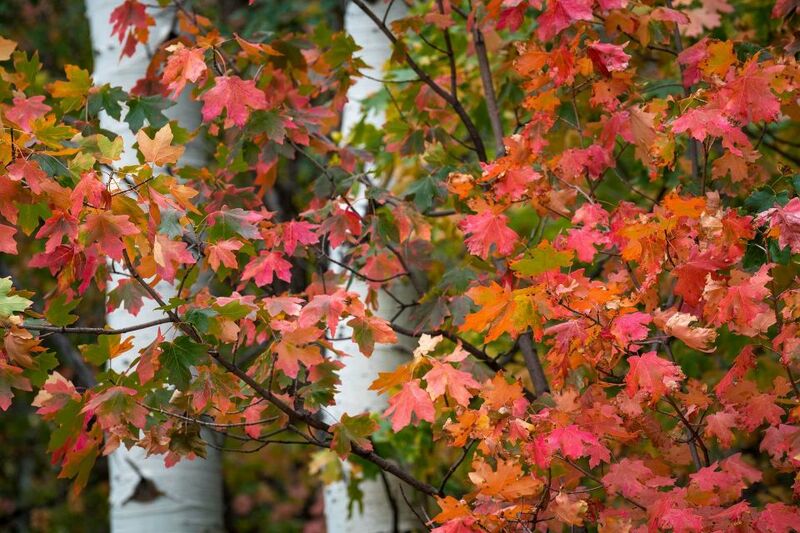 Early Fall colors come to life in Northern Utah near Snowbasin. 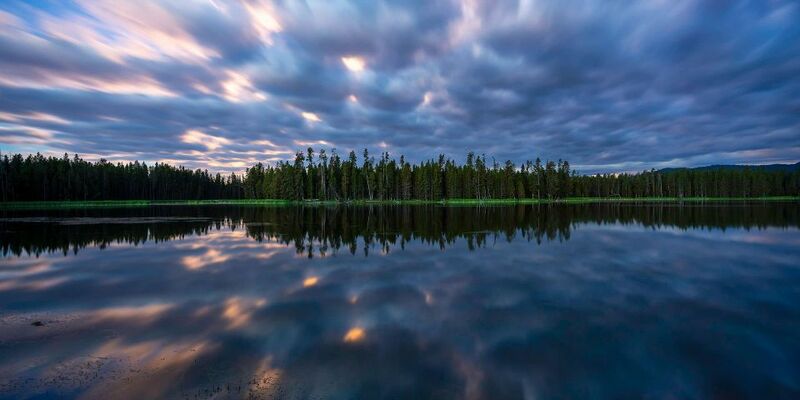 A full moon lights the clouds on fire as they reflect in the calm waters of a lake in Harriman State Park in Idaho. 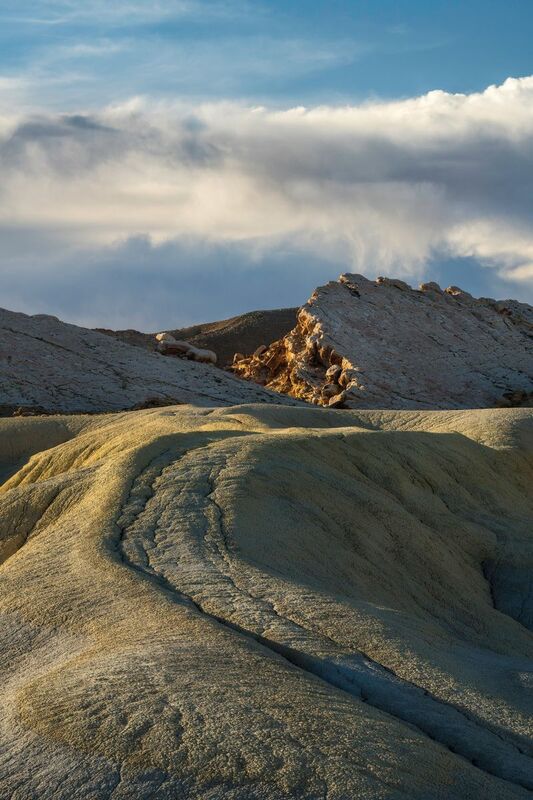 An otherwordly desert landscape in the badlands of Southern Utah as the rolling desert hills lead to the rocky sandstone outcrops at sunset. 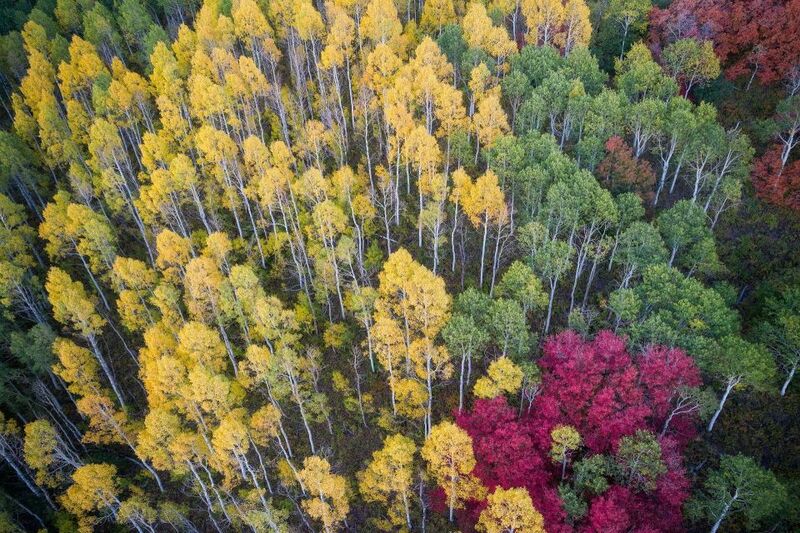 Early Fall colors create a kaleidoscope of colors in Wasatch Mountain State Park in Utah. 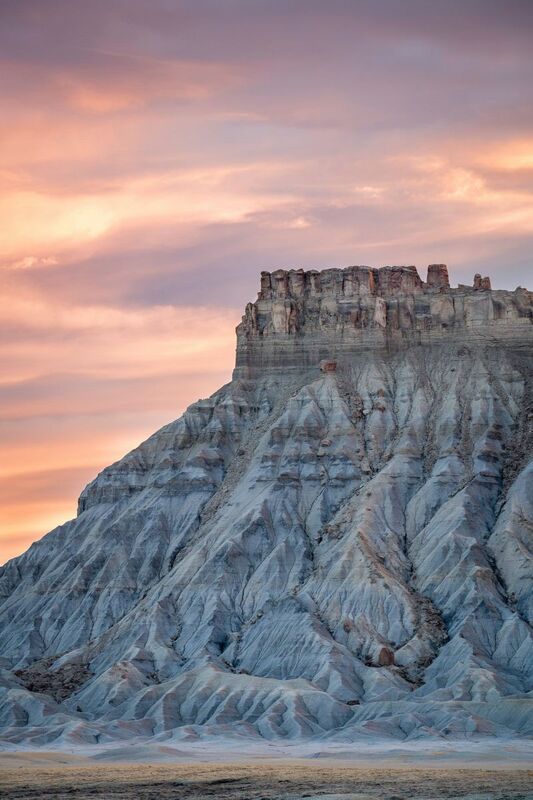 Sunset over Factory Butte in the badlands of Southern Utah in Spring. This may lead you all to believe that 2018 was a downer year for me. It wasn’t. It was a year of progress on a lot of fronts. I had new collectors for my limited editions. I made strides in other artistic areas and feel that I’m working towards a stronger body of work that will showcase through more meaningful images that I can share with everyone. I started pursuing a new venture into large format film photography that I’m happy to say is going well, frustrating at some times, but well. I’m planning a new post here to show the progress on that front as I haven’t updated my past post yet. There’s been a creative rut that I’ve been stuck in for quite sometime now and I feel that this is a great avenue to help jump out of that. For anyone that feels the fast-paced world of snapping thousands of digital photos everyday is detaching them from their work, I highly recommend them looking into film. There are some great resources out there to help you get started and it’s not as daunting as you might think. I have more images hanging in collectors homes and businesses than ever before. This year I even got my first magazine cover, which I’m pretty excited about, along with three full page images published in fairly large national magazine, and won a bronze award in the Epson International Pano Awards in the open category for my image “Broken Earth” (the first image in the gallery above). All-in-all, I shot fewer images, which makes choosing my best landscape and nature photos of 2018 a little bit easier and harder at the same time, but I’d have to say it’s been a pretty decent year overall. Now I just need to start processing some images. Here’s to a great 2019 everyone! Wonderful selection Clint! Your image of Factory Butte is outstanding. It’s nice to see that landscape in tones other than saturated reds. Keep up the good work in 2019! Thank you Alan. I really appreciate the kind words. Best wishes to you as well in the new year. This is a beautiful collection, Clint. I particularly like the soft mist and blue/green colors of Morning Revealed, with the nice accent of those pink flowers, and the fantastic tones in Badlands Sunset. Congratulations on your achievements last year, and I wish you continued success in 2019! Thank you Todd. Here’s to a great 2019 to you as well!